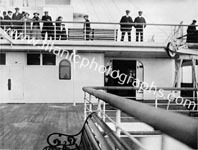 The bow wave which is central to this picture has been positioned to form a balanced near abstract image in conjunction with the horizon and ship's side. 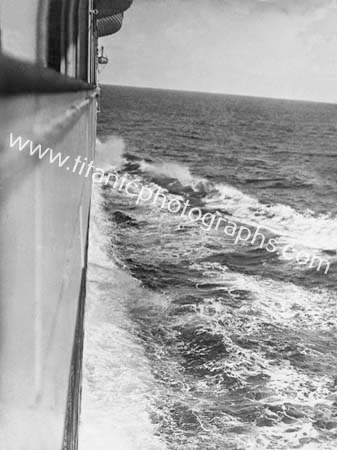 A touch of realism is introduced in the distance by emergency lifeboat No.1 hanging out over the side. 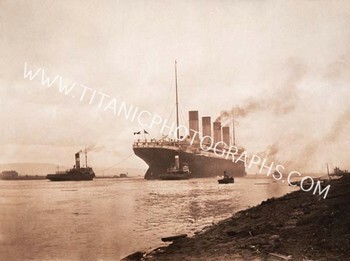 Launch of Titanic, May 31st, 1911. 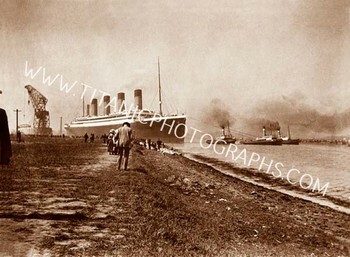 The Olympic heading from her outfitting. 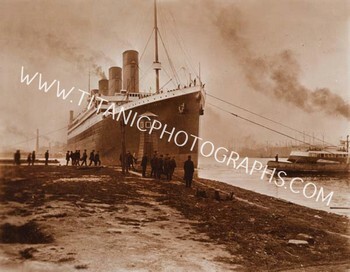 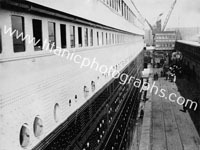 Titanic makes ready to depart 2nd April 1912. 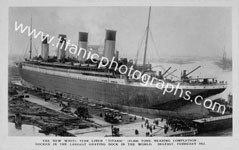 In addition to the deck plan Frank Browne was given this postcard as a souvenir. 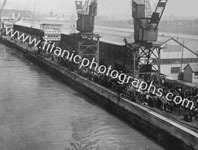 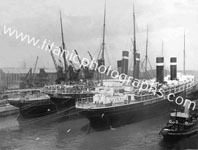 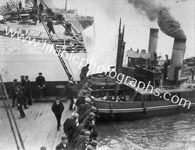 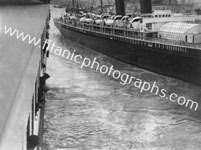 As the "Titanic” departed from the quayside, relatives and sightseers waved goodbye.